Over the course of a decade, the Dalai Lama has repeated that worshipping the evil spirit "Dholgyal" harms the Tibetan cause and is detrimental to his lifespan. As a consequence, many who have engaged in this practice seem to have stopped it. For which Tibetan wants to harm the cause and the Dalai Lama? Only a madman or a traitor. But then over time, a small group of supporters of this evil spirit emerged. Funny enough, their notion was that this evil spirit was actually an enlightened being, a Buddha or something to that effect. For them, it was not "Dholgyal", which seems to be derogatory term, but "Dorje Shugden" or "Choekyong". Eeach side has produced tons of materials over the years to strengthen their argument in this spiritual battle. The internet is full of it. As long as the conflict over Dholgyal/Shugden remained in the religious realm, we could argue it was about personal spiritual experience and beliefs, and as external observers, we prefer to keep out because we could not follow, and the practice or non-practice had absolutely no meaning to us. At least I ignored the topic for the longest time, thinking it's an archaic religious debate with no relevance to real life. But then I realised that the political dimension of this conflict concerns all of us, because what had started as a theological dispute, had left the religious realm and had entered the Tibetan mainstream. So while most of us were not qualified to make a statement with regard to the nature of Dholgyal/Shugden, as people living in a democratic society, we are all entitled to make a statement with regard to the political aspect of the controversy and how Tibetan society has been dealing with Dholgyal/Shugden supporters. There are several instances where it would seem, Tibetan government agencies have been used to discourage the practice. It is known that the Prime Minister publicly discouraged the practice in several instances. In Switzerland, the assembly of elected Tibetan people's deputies (thunmi) passed a "Dholgyal resolution" which, in effect, calls for singling out pro Dholgyal/Shugden Tibetans living in Switzerland. In some instances, Tibetans in Switzerland and India have been asked to sign or take an oath that they would abandon the practice. Reportedly, Dholgyal/Shugden supporters in India have been refused necessary documents by the Tibetan government-in-exile, which they would need to obtain formal recognition as refugees by the Government of India. In some Tibetan settlements in South India, shops apparently no longer sell to Dholgyal/Shugden supporters, and entire groups of dissenting monks have been asked to leave their monastery. If only a fraction of these stories are true, and the evidence would suggest so, they document a type of political pressure that is not normal. In fact, these reports are highly disturbing for our young democracy. In a democratic setting, it would not be possible to single out a group of people, label them and pressure them into compliance with the majority view. It's actually a fascist thing to do and conjures up the darkest memories. If we consider our society democratic, the question is: Why do some of us tolerate or even support this type of pressure on a minority? We all know that in a democratic society, the rights of minorities do not depend on the goodwill of the majority. In a democratic society, the rights of minorities cannot be "overruled" by majority vote. The law is supreme and protects the rights of all citizens. We should know that a truly democratic Tibetan society would not force those with deviating views into obedience. A truly democratic Tibetan society would be strong enough to put up with dissenting views even though the majority may not approve of them. Our problem boils down to the peculiarity of the Tibetan system. If the Dholgyal/Shugden dispute shows us something, then it is the incompatibility of democracy with our actual political behaviour, which, I believe, still reflects the traditional "religion-and-politics-entwined" mentality in both ruler and ruled. Everyone knows that in the traditional system, the Dalai Lamas have held a double function: On the one hand, they have been top-ranking priests of the Gelug order, and on the other hand, they have functioned as the head of the Tibetan government. We also know that in a democracy, the secular and religious spheres are strictly separated and not ruled by one person for there is the danger of the abuse of power. All democracies in the world have a balance of power to prevent too much power in the hand of a single person. In the current Dholgyal/Shugden dispute, it would seem the Dalai Lama has been using his political power as the head of the government to promote a religious goal, the clean-up of the Gelug order. This is very problematic, in fact, in a democracy, using political authority for a religious purpose constitutes an abuse of power. The next question then is: Why is nobody raising any red flags? Tibetan social behaviour in this dispute would confirm that in a system, where the leader is held in God-like esteem, it is difficult for the average citizen to hold diverging views. In such a system, there is little space for egalitarian discourse or democratic debate, because one participant is, by definition, infallible and beyond scrutiny. Many Tibetans seem to save the intellectual effort because they believe the Dalai Lama is an enlightened being, and the rest of us are not. Due to his divine background and omniscient capability, many seem to believe he knows by default what's best. Many may also support his views out of gratitude. After all, the Dalai Lama does have an impressive track record of what he has done for his country and his people. We all love him for that. The whole world loves him. So many Tibetans are deeply grateful and give him unconditional loyalty in return. For these reasons, many Tibetans are inclined to take an automatic stand in favour of the Dalai Lama even if they may not have a religious stake in the Dholgyal/Shugden issue per se. But in a democracy, the leader or government is only one element of the social fabric made up of political parties, organisations, institutions etc. A true democracy is diverse and pluralistic, and everyone is entitled to their opinion. The spiritual experience of a Dalai Lama is no more true than the spiritual experience of the average Tibetan is false. If they end up with diverging views, it is wrong for the Dalai Lama to pressure others into accepting his view. Even if his spiritual insight is considered superior, the others have the democratic right to believe in their view. The few, who have arrived at diverging views regarding Dholgyal/Shugden, and somehow manage to adhere to them, have been virtually shut out of society. They are not welcome at Tibetan gatherings and the Dalai Lama has regularly asked them to leave the venue when they attended his teachings. People seem to have no problem with this style, because the majority seems to be stuck in the traditional "religion-and-politics-combined" mentality: How dare they be smarter than the Buddha? How dare they defy the leader without whom we would have been finished long ago? How dare they ignore the advice of someone who has nothing but genuine compassion at his heart? How dare they? The reaction has been to ostracise and slander this minority as non-patriotic, pro-Chinese, murderers, greedy for money, and members of a cult rather than real Buddhists. But when we take a closer look, we realise that it is a diverse group of people who practice Dholgyal/Shugden. They are not a monolithic block with the goal to damage the Dalai Lama's reputation, help China or corrupt Buddhism. The most controversial Dhogyal/Shugden supporters seem to be the New Kadampa Tradition (NKT) and the Western Shugden Society. Since these groups are mainly made up of Westerners, they are not under the sphere of influence of Tibetan society and as such have been the most vocal in protesting against the Dalai Lama and the Tibetan government-in-exile. Their protest for religious freedom is likely to continue since they cannot be directly pressured by Tibetan society. The Tibetan side of Dholgyal/Shugden practitioners seems less organized and also avoids direct confrontation with the Dalai Lama. There is an organisation called "Dorje Shugden Devotee's Charitable & Religious Society" based in New Delhi, but how numerous they are and how far they are prepared to go to safeguard their religious freedom is not clear. Some Dholgyal/Shugden supporters voiced their grief on Swiss TV several years ago, some are said to have gone to Indian courts and others approached Amnesty International for support. But my impression is, most Tibetan Dholgyal/Shugden supporters keep a low profile. In general those defiant Lamas, Geshes, and lay people are without any affiliation to an organization. They tend not to voice their dissent in public for fear of being exposed. I personally know of several people who stick to Dholgyal/Shugden as part of their spiritual practice. I have no idea what that practice looks like and I'm not the least interested. All I can say is that they are neither pro-Chinese, nor greedy for money, nor do they approve of violence to resolve a dispute. They do not believe in Gelug supremacy to the point where they belittle other Buddhist schools. I have never heard a bad word from them about Kundun. They seem sad but not bitter. They do not understand why the Dalai Lama wants to exterminate this practice. But unlike the Western Dholgyal/Shugden supporters, they have kept their grief to themselves hoping that if they keep quite and do not retaliate, the storm will pass. It would be foolish to follow that all other Dholgyal/Shugden supporters have some sort of affinity with China just because a few are considered Chinese spies. And if some have murdered, it is silly to believe, everyone worshipping Dholgyal/Shugden is violent. If some pray to Dholgyal/Shugden to become rich, it doesn't mean that everyone worshipping Dholgyal/Shugden only thinks about money. And if some people who worship Dholgyal/Shugden believe in Gelug supremacy, it doesn’t make everyone worshipping Dholgyal/Shugden a Gelug chauvinist. We must be careful not succumb to the habit of labeling dissenters. We should make the effort to look behind the label to the content and differentiate, otherwise the witch hunt will continue. If Tibetan society were truly democratic, cooperation would be based on free will, and people would be encouraged to think for themselves, making up their own minds. If Tibetan society were truly democratic, people who do not follow the opinion leader, would not be ostracised. The way Tibetans have been handling the Dholgyal/Shugden issue says quite a bit about the state of our democratic values. We Tibetans are okay with dissenters being forced into obedience. We see nothing wrong with this political style. We have no issues with the Dalai Lama exerting pressure on dissenters by using secular government organs and tolerating oaths and signature actions in his name. Some even believe it is their duty to expose Dholgyal/Shugden supporters and slander them. Until recently I thought, the more we talk about this conflict, the worse it becomes. I have changed my mind. I know now that it is wrong to remain silent. All genuine Tibetan democrats must speak up in the political debate over Dholgyal/Shugden. When a few are forced to take on the view of many, we’re going down a dangerous path. It is our duty to speak up. Our young democracy will remain in bad shape if we let this happen without a reaction. excellent post - thank you for your clarity. as a Shugden practitioner,i have a personal stake in the religious side of this dispute, and a strong opinion on it. nonetheless i agree with you completely that if we're to arrive at any kind of resolution, then the spiritual side must remain just that: spiritual. in Europe they recognized the great danger of mixing religious and political power and have therefore tried to keep church and state separate for centuries; the US was founded in large part on this very freedom of conscience (though worryingly in recent times we've seen a trend towards regression). if the Tibetan nation and society is to take its rightful place in the modern world, it must surely follow this example and keep politics and religion separate. Thank you for that thoughtful article. The Shugden issue is a relgious freedom issue that has moved over to the political realm as a result of the mixing of religion and politics under one leader. As a result, the TGIE has not been protecting the rights of its minority citizens, as all democratic governments are expected to do. So far, it seems they have not handled the issue well; how they will continue to handle this issue is truly a test of the TGIE's democratic principles. The Western Shugden Society is the umbrella under which Shugden practioners come together to protest for religious freedom. As a result, the WSS has a widely varied demographic: some participants are in the NKT, some are not in the NKT, and some are simply family and friends of practitioners who support religious freedom. Although some NKT members have become members of the WSS, the NKT as an organisation, is not involved in the protests at all. In other internet posts I have come across, there are indications that people believe the NKT and WSS to be the same entity but in actual fact, this is not the case. Mountain Phoenix, thank you for your thoughtful and well written article. I can see from your profile that you are dedicated to the Tibetan cause and I really appreciate your explanation of how this issue of mixing religion and politics is now adversely affecting that cause. I am not Tibetan but I feel for all Tibetans and wish for a speedy resolution of this problem for all their sakes. Really, the dispute has nothing to say about Buddhism, it does say a lot, though, about Tibetan politics. You hit the nail on the head and I hope that the Tibetan people will find the courage to speak up and create a true democracy. Thank you for this post. I think your perspective on this issue is very intelligent and sensible. SPASTIC THOMAS CHINA, KEEP ON RANTING LIKE A LUNATIC. TYPICAL DOGYAL STYLE. VERY GOOD PIECE. AS A NON-SHUGDEN. I HAVE TO SAY YOU HAVE NOT MENTIONED ANYTHING ABOUT THE YELLOW BOOK OF THE SHUGDEN. THE RELEASE OF THIS BOOK WAS THE START OF THE PROBLEM. You can see from the above pdf that this sectarian practise was a danger to the unity of tibetan and tibetan buddhism. As a result he not advised against the practise of this evil spirit but also gave up. You should go and visit Shillong where people who practise this devil get-together just among their alikes, marry among their alikes. This i am talking back in the 70's 80's before HHDL stopped this. The fact that the Dalai Lama and the Tibetan Government in Exile have been able to subject the Tibetan populace to an oath swearing campaign, whereby they promise not to engage in prayer to Dorje Shugden or have dealings with anyone who does, harkens back to the religious persecution in England during the 17th century whereby religious uniformity was mandated by the state. That this oath swearing campaign initiated by the Dalai Lama has bypassed our conscience and our concept of religious freedom as an unalienable human right is a sign of a deeper crisis that has emerged in the Tibetan and Buddhist Community. It is a crisis that has arisen in part because the Dalai Lama is appealing to something quite unrelated to reason. So what we have here is the divine right of the Dalai Lama versus the rights of individuals to practice the prayer of their choosing. Thomas Jefferson could not have scripted a better example as to why the divine right of kings and the divine right of individuals are incompatible governing principles. Surely Tsultrim’s nonsensical assessment that everyone is happy is callous and insensitive to those monks who are being expelled from their monasteries because of their practice of the Dorje Shugden prayer. Surely it is lunatic reasoning for those people who have been forced to flee from their homes under threat of violence because of their practice of this prayer. But the lack of interest in these crimes by the TGIE is indicative of the Tibetan thought process. The Dalai Lama is god therefore his decisions must be correct. Unfortunately this holds even if in reality they are harming others. But this is politics Tibetan style. So instead of granting the opposition a voice in the government what it does is re-categorize the opposition as a fringe and fanatical element of society and then turn around and say that there is no political opposition. Guess again. In fact the Dorje Shugden Devotees Charitable and Religious Society have filed a lawsuit against the Dalai Lama and the TGIE for violations of basic human rights in the Delhi High Court of India having no other political recourse with their own government. "DHOLGYAL", is comparable to the "N" word and might be catagorized within th extensive list of Hate Crime terminolgy. I ask that all people keep this in mind when applying this negative and unpleasant term to describe a Wisdom Buddha,known as "Shri Dorje Shugden", The Supreme Protector of The Dharma. It only exemplifies the ignorance of the writers or speakers, who use it to express themselves to others. thank you for your contribution, but we'll manage just fine without you, thanks. Phoenix I agree with your concerns and I think it's a shame PM Samdhong didn't allow Western Tibet Supporters to participate in Shugden discussion. if we're talking about rumours, then i've got a whole bunch that are FAR worse than this point about him being a fake! like, having his opponents murdered for one. and having a daughter, by his "oracle" (not Nechung oracle, another one, whose special spiritual qualifications included that she just happened to be a Pretty Young Thing, and who was kept quietly in his palace until she got pregnant - the Geshe i heard it from told me she'd been packed off somewhere she can't cause any trouble out of harm's way). he also went to the heads of the Gelug order to try to get Gelugpa ordination changed to a one-year-on, one-year-off system. and at another time he asked to be allowed to take a personal sabbatical from the monkhood, presumably to get his rocks off. astonishingly, they said: "no, Your Holiness, we can't really get behind that." well - i heard it was a high Lama in France (maybe Ganden Tripa?) who was the main opponent to these, um, progressive ideas. perhaps others would have let him. How they think such saying untrue things with no evidence helps Tibetan Shugden/Dolgyal people I have no idea. It seems to me their "help" has only worsened things for both sets of people in the dispute. I question the TGIE on this issue, but even more I question the tactics of WSS which are cruel, crass and rather than helping the situation seem to have made it worse. I am sorry to say I think they have their own selfish aims. that was me who posted that on another blog, and i'll admit i have no evidence whatsoever - i was repeating hearsay. i did state clearly (which you've not copied and pasted) that these are just rumours, nothing more. but i'll admit that i was being mischievous, and that my motivation probably wasn't 100% clean and pure - sorry. i understand that many people, Tibetan and non-Tibetan, love the Dalai Lama and can't stomach any kind of criticism of him whatsoever, but i thinkiit's unrealistic to blame the TGIE as if they're acting in this without his full knowledge and approval. anyway - i shouldn't be peddling rumours. but you can't blame WSS for that. i'm no spokesperson and i don't represent WSS; i act freely - it's my choice and my karma. I think Samdhong Rinpoche and the TGIE may be too conservative in the idea that the conflict is sole one of Tibetans. In general I agree it is the Tibetans' issue not that of Westerners. But the issue is abused by NKT/WSS for their own policies and was brought by them aggressively into the public of awareness of Westerners by using / abusing all public available PR means. As long as the TGIE and the monasteries in India do not offer a public statement and allow media/support groups to proof the facts they unintentionally support WSS/NKT by offering them the power of providing misleading information to the West. This harms all sites, I think. The TGIE and the monasteries shouldn't ignore this situation in the West. In these 'globalized times' such a silence has a negative effect, because it gives the power to WSS/NKT to spread their spins all over the world. It's the duty of a Bodhisattva to counter wrong claims. 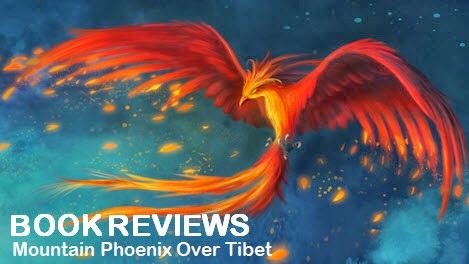 Hi Mountain Phoenix, my name is Friendoftruth, sorry for the expedience of choosing the "Anonymous" label, it's just that I am not a wizard with blogs and log ins. Very interesting article based on the notion of democracy! Your cautious acceptance that the stories about the persecution of Dorje Shugden practitioners seem to be true does not need to be so cautious, but the mere acceptance of their verosimilitude is received with gratitude. This speaks volumes about the present sad state of affairs: that one needs to feel grateful for the cautious acceptance of something that has been filmed, photographed and talked about so abundantly, something that has not only proved to be true, but that is unhappily an ongoing present day situation. Today, though, I am writing to you for religious reasons. Could you please be as kind as to change the title "Evil spirit puts Tibetan democracy to test", for something like: "Controversial religious figure puts Tibetan democracy to test"? Many among us, Dorje Shugden practitioners, have suffered quite cruel years of sadness and anguish since the moment -the unfortunate date of March 1996- when the Dalai Lama, whom we loved and love no matter his actions, decided to ban our holy Dharmapala. Since according to your writing you do not know much, or anything at all, about the nature of Dorje Shugden, could you please, out of respect for our feelings, do not call in your the title "Evil spirit" the one who is for us the emanation of the Wisdom Buddha Mañjushri? It would be very much appreciated if you could use a neutral term. Your article is really extraordinary, thank you for it. I would second what Friend of Truth says about kindly changing your title "evil spirit" (even though it is in inverted commas) to "Buddhist Deity" or even "controversial Buddhist Deity". It is very hurtful to myself and many thousands of Shugden practitioners to have to keep seeing that repeated everywhere, even though we know from experience that there is no truth in it, and have never worshipped a spirit, let alone an evil one, in our lives. Thank you. I hope to see more articles from you sometime. To FriendOfTruth and Tenzin: I understand your concern regarding the expression "evil spirit". When something I revered would be bashed by others, I would also be disturbed. Which is why I put the expression in parenthesis. It is not meant to be taken literally but more ironic. Remember: This article is for the mainstream Tibetans and the political aspect of this issue. It's not about what Dorje Shugden/Dholgyal "really" is. What a thoughtful, articulate and well-considered article, thank you so much. I'm heartened that someone who feels so strongly about Tibet and its cause is so open minded and can see clearly how wrong it is for TGIE to be using political institutions to force people to give up their deeply cherished beliefs, even for the sake of maintaining allegiance to the Dalai Lama. You're not afraid to say it is wrong either. I wish there were many people like you in the TGIE. Thank you for your article. It is nice to see something written without emotional bias, but with careful consideration for all people. I’m with you on the TGIE not doing anything to curtail the right of any Tibetan to practice their faith, no matter what it is. But I think the Dalai Lama right in advising Tibetans against Shugden propitiation. Here's why. First of all, It's in fact his duty as a Lama to inform his disciples on how and how not to practice the Dharma. But there's another dimension to his decision and it has to do with his status as leader. And to his credit, the Dalai Lama didn’t start this initiative from out of the blue. He only began to address this, and in the most gentle way, only when in the early 1990s, a book appeared in India which promoted Shugden in the toxic and supremacist language used during the promulgation of the cult in the early 20th century. The intentions of those lamas and geshes behind the movement were probably well meaning in their view, and meant to be in the best interest of their sect, but there is no doubting the fact that many of the things they believed in and were advocating was bigoted vis a vis the other sects, and highly divisive for Tibetan society. It was in this climate of unity and cooperation that the before mentioned booklet was published. It immediately served to sow suspicion and ill feelings between religious institutions as it was seen by the other sects, and even Gelukpas who didn’t propitiate Shugden, as an assault on their faith and practice. It was seeing this development, combined with his personal experience and findings as a Buddhist scholar and practitioner, that prompted the Dalai Lama to suggest that the propitiation of Shugden was not dharmically useful. This is where things should have been left. But then Beijing exploited the situation, violent crimes were committed on people who supported the Dalai Lama in the matter, which in turn prompted some monasteries to discourage Shugden propitiation in the temples. Some people started to ostracize Shugden propitiators within their communities, as a show of support to the Dalai Lama and response to the hurtful negative campaign being waged against the Dalai Lama by some pro-Shugden lamas, geshes, and their followers in the West. So to conclude, TGIE action to discourage Dogyal propitiation is unhelpful to the development of our democracy, but the Dalai Lama is right in his role as guru and Tibetan leader to advise Tibetans against the cult practice. It may put some Tibetans in an uncomfortable position, but that’s a choice they have to make. Life is a little more complicated and painful than eating a cupcake. I am Tibetan. Thank you for you open mind.